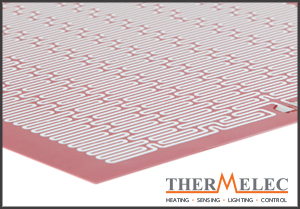 Thermelec offer Wire Wound Silicone Heating Elements that comprise of evenly distributed resistance wires laminated between silicone sheets and are perfect for problem solving or prototyping applications. We can offer bespoke specifications to fit your needs, the heaters are flexible and lightweight with a wide temperature range (-60˚C to +230˚C), they give a precise even heating and are both moisture and chemical resistant. 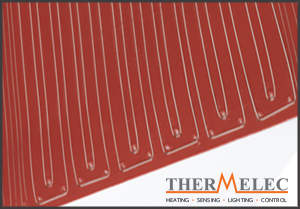 Laminated between thin sheets of robust silicone, the chemically etched foil tracks are computer designed to provide precise and reliable etch foil heaters. Suitable for both low and high volume production the heaters have fast heating properties with accurate temperature controls and are suited to those applications that require high power densities. These can offer a much more precise form of heating than its counterpart Wire Wound Heaters due to the wider heating tracks. Once again, we offer custom specifications to fit your needs, the heaters are flexible and lightweight with a wide temperature range (-60˚C to +230˚C), they give a precise even heating and are both moisture and chemical resistant. Kapton heaters are ideally suited to those applications that require low profile, intimate heating. Kapton Polymide is a thin, semitransparent and flexible material that is perfect for the production of heater elements. The Kapton heater offers high power densities and rapid response to temperature control due to it’s low thermal mass, efficient heat transfer and has an excellent resistance to weather, chemicals and radiation. 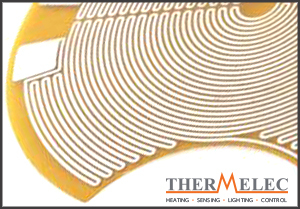 Similar to Etched Foil Heaters, these heaters are computer designed and it’s foil tracks are chemically etched and laminated between ultra-thin polymide that gives accurate and even heating.